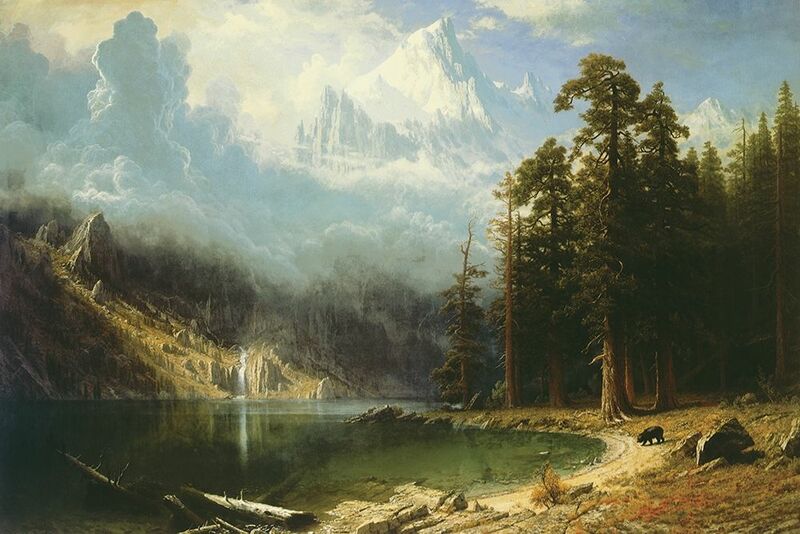 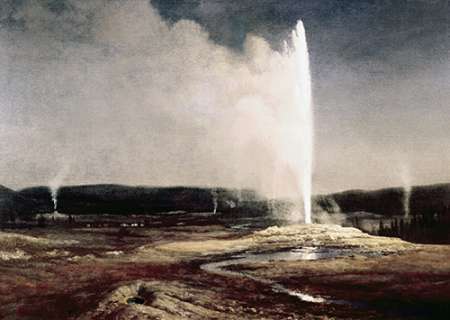 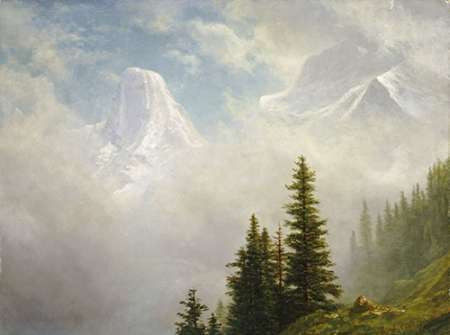 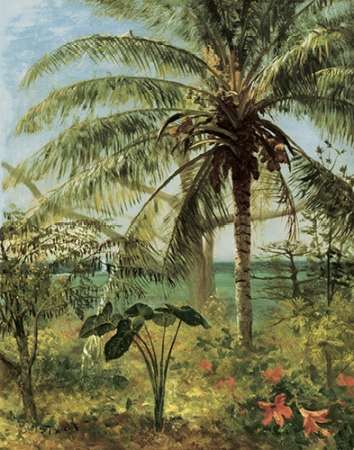 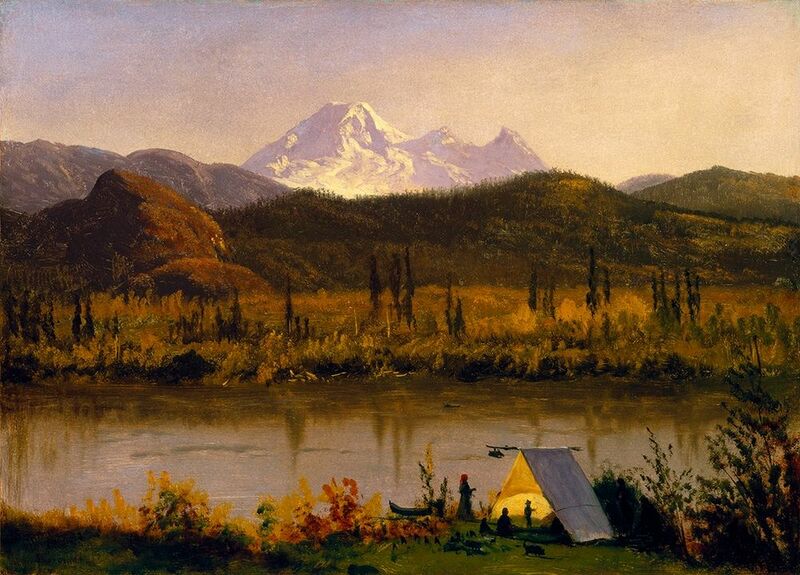 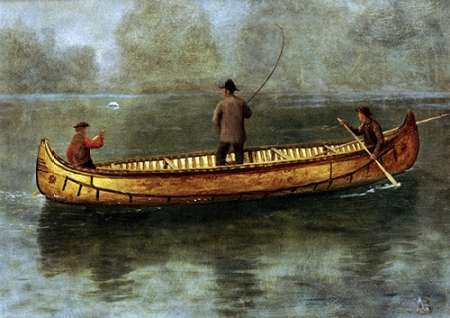 "This German landscape artist travelled extensively, and is renowned for his paintings of towering and atmospheric mountain ranges.Bierstadt is particularly known for his paintings of North American mountain ranges, which he often undertook on huge canvasses, mirroring the scale of his subjects. 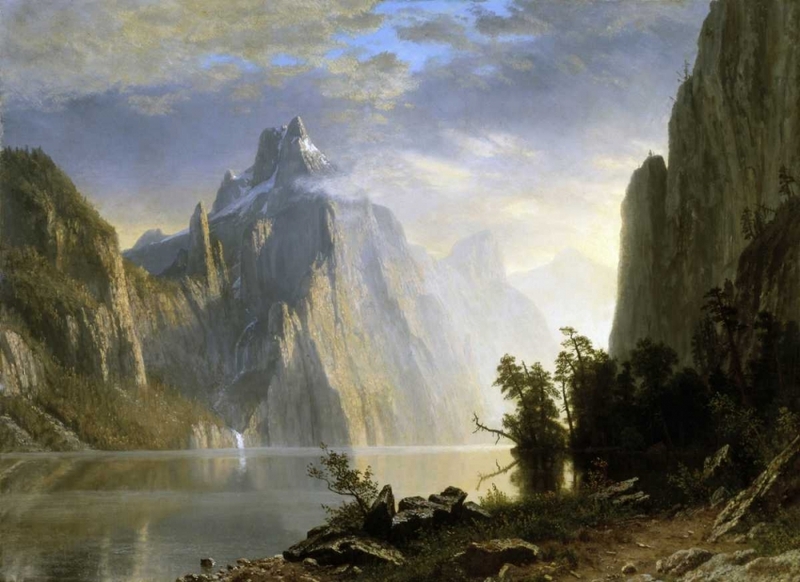 He is sometimes referred to as belonging to the Rocky Mountain School of artists.He was born near Dusseldorf in 1830, where he studied at the Art Academy. 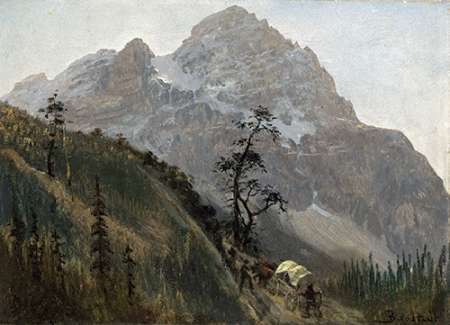 His original travels took him through Italy, Germany, Switzerland, and then to America. 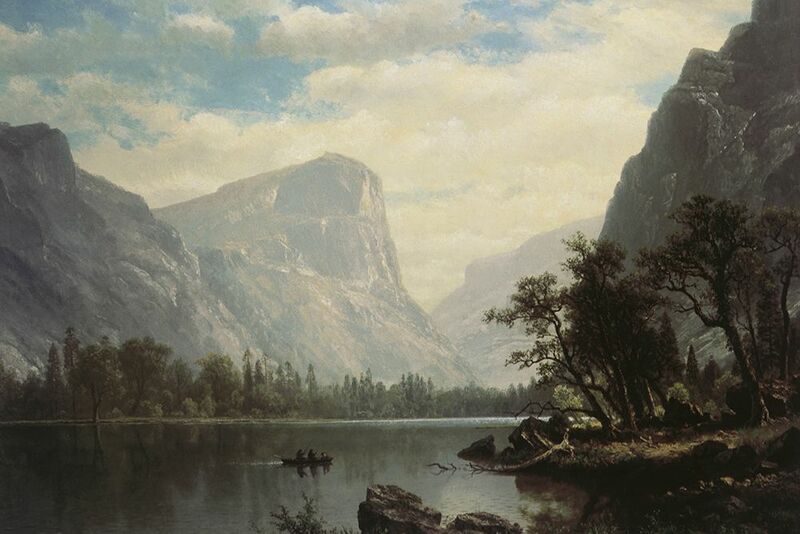 His most impressive scenes are from the Rocky Mountains and the Sierra Nevada, where he provided some of the earliest oils of the Yosemite valley, the jewel of 'the Range of Light'. 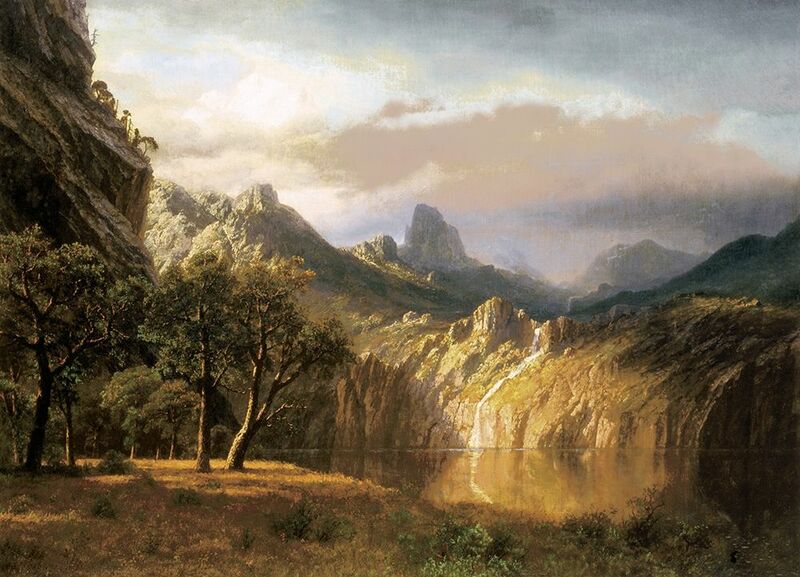 He attempted to capture in his paintings the awesome beauty of nature at its most majestic, with granite walls exploding 3,000 feet from of lush valley floors, waterfalls cascading like diaphanous bridal-veils, and distant jagged saw-tooth mountain ranges.Bierstadt was awarded the French 'Chevalier de la Legion d'Honnour' and was named a Member of the National Academy of New York in 1860. 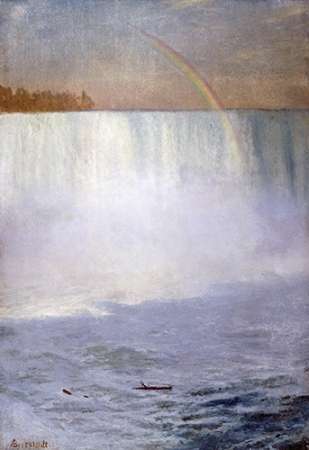 He died in 1902.He died in New York in 1860."